“I love this print, but I don’t know what to wear it with”. “I don’t think print mixing will work for me.” If I received a dollar every time someone said this to me, I would be rich by now. No kidding! Because I hear this so often, I decided to create this print wearing and print mixing manual. Pair a white or black T-shirt or blouse with a print skirt. As a print beginner select a print that comes in 2 colors like a black & white print or blue & red or green & blue print etc. Use a print that has colors in it that you like and that compliment you. Stick to two colors in the print only. Pair a print top with blue or black denim – nothing can go wrong here really. As the jeans are so neutral, the blouse or top can be a more daring print. So you could use a top that mixes 2-3 colors or select a more vibrant 2 color print. Combine prints. If the skirt or pants are 2 solid prints like black & white or blue & grey the top can be all out there and be pink & white & green. Personally I prefer the bottom part to be less busy if I mix prints like that. Try it, I dare you! Mixed prints. 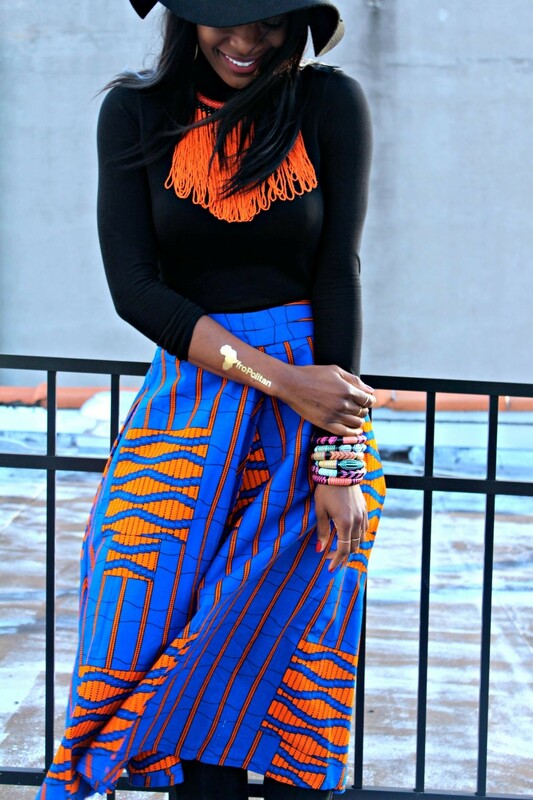 So you need to be in the mood for this print look and the colors have to work together to pull this print mixing off. My favorite all print mix look was a yellow & blue print skirt, paired with a green & blue bustier top and a green & orange print coat. I loved that look and it didn’t look crazy but stylish and even elegant. And all items had a re-occurring color in them which made the transition smoother. Always keep in mind: It depends on the design of the print and the color combination to make prints work. In the mood for prints? Shop some print looks here! Let me know how you like my print mixing manual – comment below!